This is Hidey, so named because she had a habit of hiding. 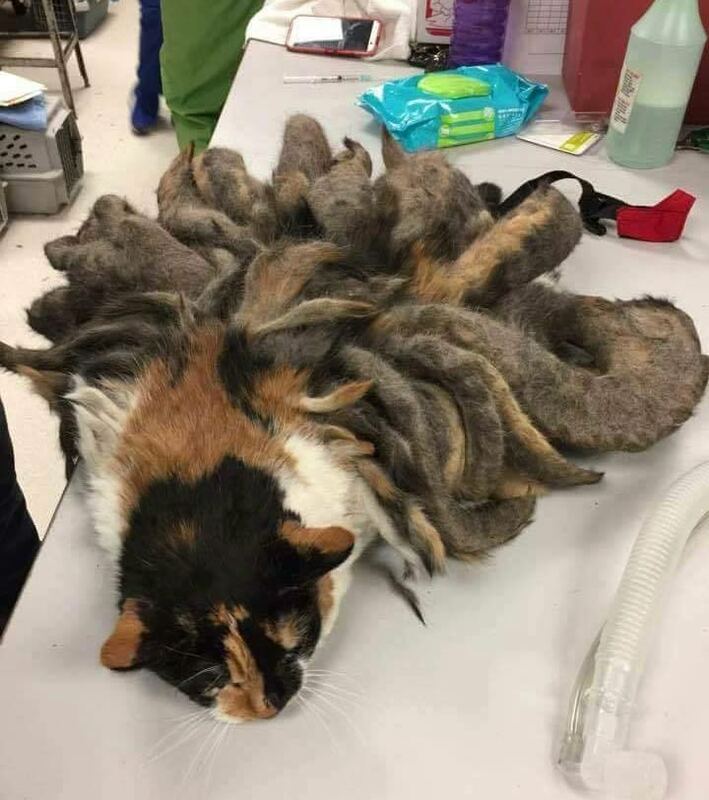 This poor cat had been severely neglected and was found with these peculiar matted dreadlocks that resemble an octopus. Hidey was brought to the Animal Rescue League Shelter and Wildlife Center after her elderly owner was taken to a nursing home, suffering from Alzheimers. 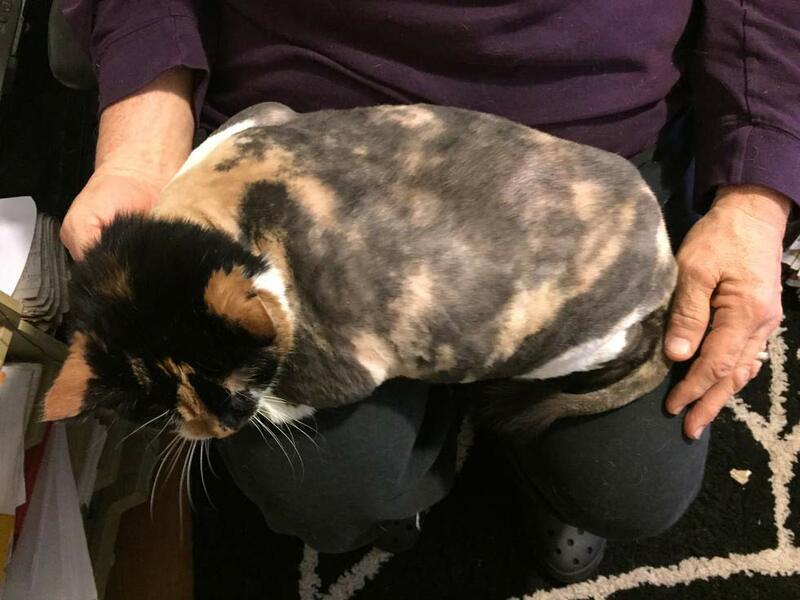 This calico kitty’s coat had severe matting, she had been neglected for many years. 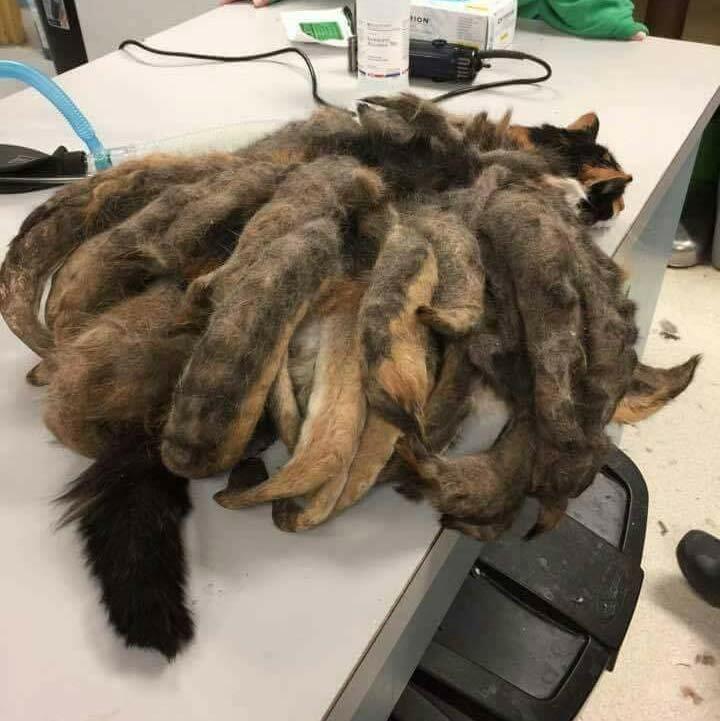 According to the shelter, the filthy dreadlocks, some of which were 8 inches long, contained a mixture of faeces and hair all tangled up together. All the hair that Hidey had shed over the years just stayed within the mat. “The end of the mat contains fur [that] has been shed a long time ago. 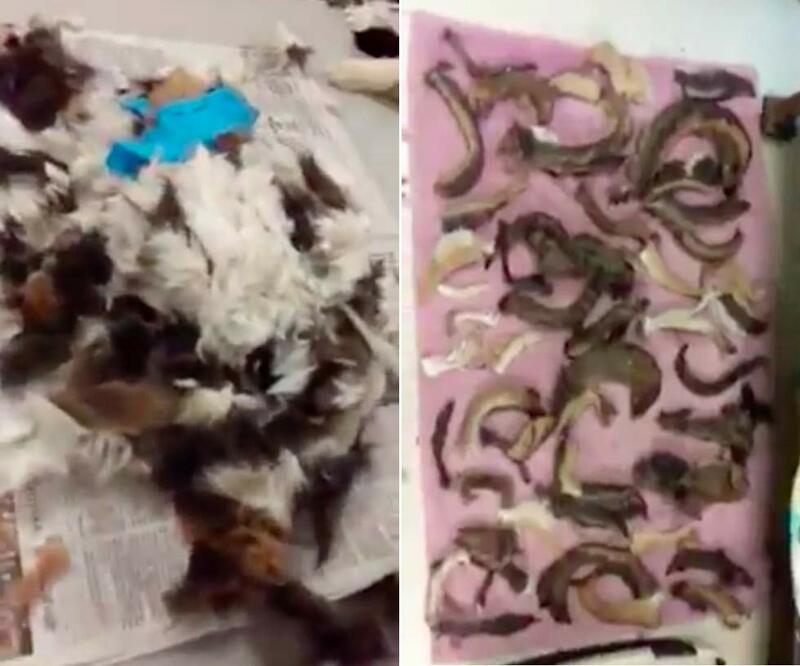 That’s how they can get to that length.” It took hours to cut all the dreads off individually to reach the matted hair which was then shaved off. “All the mats were pretty much individual so it was easy to get underneath them,” explained Jenn Levitzki, a vet technician at the center. Hidey had to be sedated before the procedure to make her as comfortable as possible. 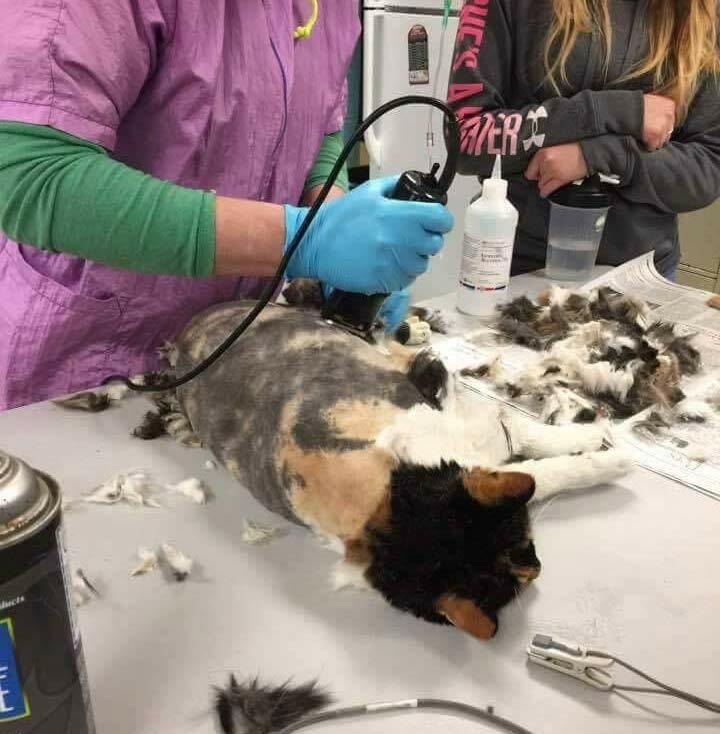 “Our Medical team shaved off the pounds of intertwined fur from her body and, needless to say, this cat is feeling so much better now!” Imagine after years of years matted hair having it all shaved off! “Hidey is getting acclimated at her new home. There are hopes she will warm up to her new owners now that she is feeling better,” said Caitlin Lasky of Western PA Humane Society. 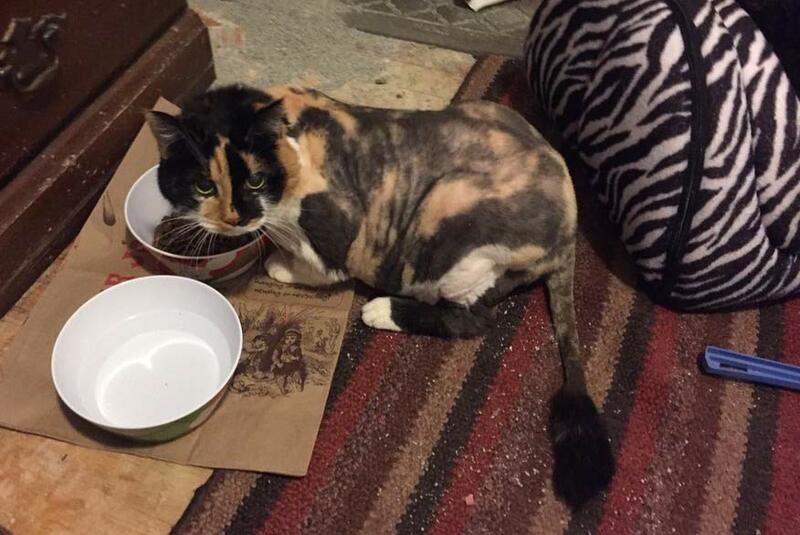 Free of all the matted hair and dreadlocks, Hidey is feeling so much better (and lighter!) and she can finally have a chance at a happier and healthy life! “If a family member, friend or neighbor owns a pet, please help them to make sure there is a support system in place if/when mental faculties begin diminishing,” said Dan Rossi, CEO of the Animal Rescue League Shelter and Western PA Humane Society.